by John Freeman N.D.D A.T.D Commissioned by Barrie Law A.R.P.S. 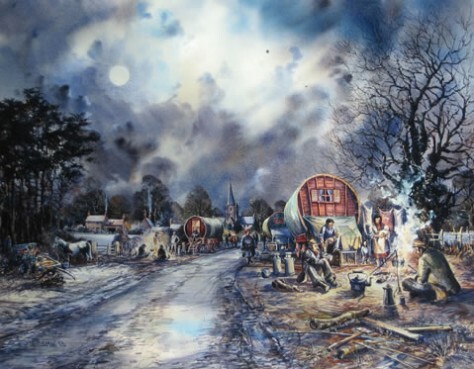 Romany Gypsy Photographic Collection This Lithographic study of the travelling people and their camp sites combines the detail of a way of life with John Freeman's ability to create an evocative scene of warmth and cold in a country lane on a winter's night. Signed Print approx 20"x15"